So much amazing is happening, and the Shootaround crew is back to help you keep track of it all. You’ll find takes on moments you might’ve missed from the previous night, along with some you will remember forever. Chris Ryan: Here’s Kyrie Irving, apparently still running off of All-Star Weekend fumes, putting on a slip-’n’-slide in last night’s surprising Cleveland win in Oklahoma City. That makes seven out of the last 10 for Cleveland. Last night, the Cavs looked like an honest-to-goodness 6-8 seed NBA playoff team. Acceptable mediocrity is fine when you have someone on Kyrie Irving. The All-Star Game MVP still carried on a 3-2 fast break, looking off wide-open teammates with a highway to heaven in front of them, to try to break down the transition defense on his own. He still chucked it from the top of the key, about 35 feet out, with 18 seconds on the shot clock, for no discernible reason. He and Jarrett Jack combined for 52 points, and Irving shot over 50 percent for the game. Maybe all he needed was adult supervision. Jared Dubin: PRO TIP: Any game Tony Allen’s watching, you should be watching, too. Just to be safe. Patrick Beverley’s shtick doesn’t work on CP3. The Clippers are 41 percent less fun to watch without J.J. Redick curling off pin downs for jumpers or side pick-and-rolls. How the hell is Jordan Hamilton already playing crunch-time minutes for Houston? Did anyone ever find out why Jadakiss is hard as it gets? I would very much like to combine Terrence Jones and Donatas Motiejunas into one player named Teratas Jotiejunas, and not just because that name sounds like something you could order at a Tex-Mex joint. Big Baby gon’ turn it up. The world needs an Instagram video of Baby and CP4, soon. The Rockets busted out a Dwight-Asik front line again in the fourth. That duo hadn’t played since November because it was an outright disaster, but it’s all of a sudden getting (minimal) run again. Worth monitoring. Harden got pretty well shook by Darren Collison a few times in that fourth quarter. I came into this game feeling like the Clippers don’t want to see the Rockets in the playoffs, but now I might think the opposite. Chris Paul's last 4 games: 48 assists, 3 turnovers. I'd have to do some math, but I think that's a good ratio. Ryan: I’m going to be opening a retrospective at the Los Angeles Museum of Contemporary Art this summer called Portraits in Bravery: James Harden and Absorbing Contact in a Postindustrial World. It’s been real, sports blogging! 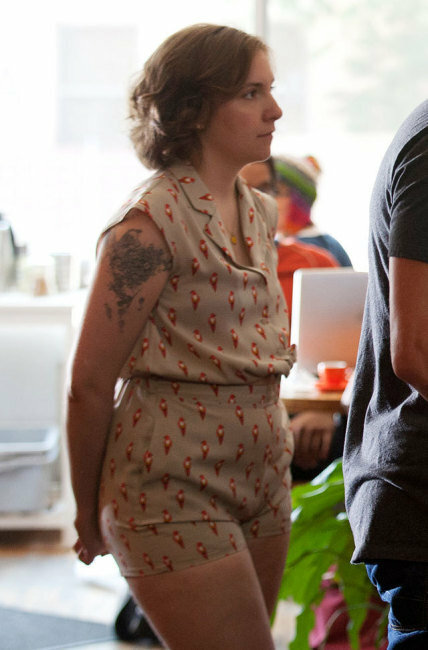 Steve McPherson: In the battle of Girls vs. Portlandia, Portland went artisanal and won big. Facing the Nets and missing not only their handcrafted LaMarcus Aldridge but also their tech startup Thomas Robinson (day-to-day with a left patella strain), the Blazers couldn’t plug in craft-brewed Joel Freeland or gluten-free Meyers Leonard alongside fixed-gear Robin Lopez, due to injury. In any case, that would have been, well, big box, and lately Portland’s been getting into repurposing industrial spaces, doing more with less. Dorell Wright got upcycled into the starting 4 slot, but the real heirloom tomato of the small lineups — or flights — that the Blazers ran out was the one that paired a dry-aged Damian Lillard and a small-batch Mo Williams with a grass-fed Will Barton and a letterpressed Nicolas Batum, and finished up with the aforementioned fixed-gear Lopez. That lineup not only put up a 180.3 offensive rating in the seven minutes they were on the court, but held the shorteralled Brooklyn Nets to an offensive rating of 78.4. That’s a net rating of 101.9 — a huge reduction in carbon footprint. Jason Gallagher: It’s a rare thing for me to perk up when a coach sends in the backup squad, but I’ve become enchanted by the Mavs bench and I don’t care who knows it. Over the last 12 games, Dallas has gone 10-2, as it has continued its ascent up the Western Conference mountain of hell. It goes without saying that Dirk, Carlisle, and Mississippi Missile-Ball have had a lot to do with it, but let’s not leave out the little people who are doing not-so-little things: Vince Carter, Brandan Wright, and Devin Harris. Take one of those guys out of the equation and the other two suffer. But as a unit, this group is a flowing river of Carlisle genius. The Harris-Wright pick-and-roll combo is the belle of the bench. It always seems to lead to some sort of open shot, layup, or alley between the two. In other cases, it creates all the space for Vince Carter — 17 last night — to drop bombs on the defense when they cheat on the other two. Since Dallas has gone on its 10-2 tear, the bench is fourth in the league in points, third in rebounds, first in assists, and first in plus/minus. Danny Chau: It was a pretty normal night for Manu Ginobili. In the first quarter, he missed all three of his shots and turned the ball over three times in six minutes. Near the end of the second quarter, while guarding Rodney Stuckey, he planted in such a way that his entire foot bore a gaping hole through the left side of his shoe. In the second half, Ginobili reached divinity, scoring 16 points on 6-for-7 shooting and dishing out six of his game-high nine assists (the Spurs had a ridiculous 34 total assists on 44 made field goals). With less than five minutes left in the game, Ginobili spotted up in a corner and dispassionately motioned a fake with Stuckey on him. Because this is a story about Ginobili, Stuckey bit on the fake and caught him on the arm. Stuckey kept his arm raised, acknowledging the foul, and started laughing, because realizing the amount of good karma a player receives for having his shoe explode on him is funny. It was just one of those nights when no one in the building was capable of resisting Manu’s charms — especially the opponent. Brett Koremenos: It’s been a rough season for Gordon Hayward. As his poor shooting numbers indicate (career lows of 39.7 percent from the floor and 29.3 percent from 3 entering last night’s game), the fourth-year forward has struggled mightily as a first option on a bad Jazz team. Now, more than 50 games into the season, we have enough evidence to suggest Hayward may not possess the ability to dominate games as a scorer. That doesn’t mean, though, he lacks the capacity to be the focal point of an offense. Today’s NBA defenses can often be at their most vulnerable when a player with good size, like the 6-foot-8 Hayward, elects to make simple, efficient passes out of pick-and-rolls. Unlike shorter guards, a taller perimeter player — LeBron James, Kevin Durant, etc. — can simply see more of the floor because of his height advantage. It’s not really an earth-shattering revelation, but you’d be surprised how few wings actually use their height to their advantage. Despite pedestrian Synergy numbers in his pick-and-roll passing over the course of the season, Hayward still has a real chance to be an impactful, playmaking wing — think something like a weird cross between Hedo Turkoglu and Stephen Jackson. Here’s an assist from last night, as proof of Hayward’s potential in this area. Hayward makes a right-handed hook pass over the top against a “blue” coverage (designed to send the ball handler away from the middle of the floor), allowing Diante Garrett a chance to quickly attack a mini closeout for a finish in the paint. Both the vision to see the small, but significant, advantage Garrett had, as well as the lane to make the pass, are byproducts of Hayward’s height. Even against 6-foot-9 Marcus Morris, Hayward is still able to see the play and make a decisive pass. You can really sense a powerful trait waiting to be refined. Watching him embrace this role with a series of ordinary passes en route to nine assists against Phoenix was a far more enjoyable experience than the nights Hayward forces up a number of difficult shots in a vain attempt to carry Utah’s offense. Ironically, it seems the more Hayward focuses on playing like a facilitator, rather than a star, the better chance he has of one day joining the league’s elite. 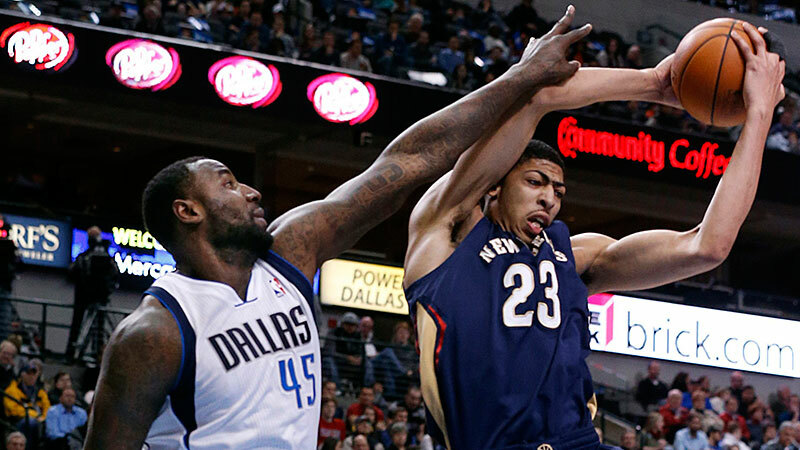 Chau: Anthony Davis sprained his left shoulder with about four minutes left in the second quarter of last night’s Pelicans-Mavericks game. Davis went in for a tip after missing his initial floater in the lane, elevating over the back of Sam Dalembert. Their unruly limbs tangled, and as Dalembert fought for the tip, he appeared to bring Davis’s left arm with him, if only for a split second, the force of which looked like it pulled outward on Davis’s shoulder. The replay doesn’t show that much contact, but when you’re a slender giant with shoulders like flesh-hued pauldrons, even seemingly slight aggravations can affect structural integrity. Davis left the game after playing 13 minutes and was ruled out for the rest of the game. He’ll have the shoulder reevaluated in Phoenix. Davis’s injury meant improvising with an already depleted frontcourt. It meant trotting out Luke Babbitt and Alexis Ajinca at the 4 and 5 together for 16 minutes. Blazers and Bobcats fans solemnly nod in solidarity, but they knew only their half of the problem. To be fair, both performed admirably, combining for 24 points on an efficient 10-for-16 shooting from the field. And while Ajinca is comparable in length to the fallen Davis, he is absolutely not the same defensive hellspawn. His concentration wavers, as does his energy level. This all falls in line with my theory that Ajinca might be the oldest 25-year-old ever. The Pelicans now have the second-longest losing streak in the NBA, and the team’s outlook isn’t looking any better if Davis is missing any time from this shoulder sprain. If he is, the frontcourt rotation currently reads: Greg Stiemsma, Ajinca, Babbitt, and Jeff Withey. Not good. It’s been a troubling season for the Pelicans, but Davis has been the one who has kept it all together, or at least kept the team watchable. The team was — is — on his shoulders entirely. Here’s hoping his season will continue, that this one battle with Dalembert for an offensive rebound wasn’t the final straw. Are You Disappointed in Rajon Rondo? Rajon Rondo is a goddamn sorcerer. It’s so stupid. It’s the kind of story perfect for fans who want to get all outraged at some diva superstar. But I love Rondo for this. First of all, he wasn’t supposed to play. Everybody calm down about the “he skipped a game” part. He skipped a flight to Sacramento to sit on the bench in a suit. More important: The Celtics have spent Rondo’s entire career letting the league know he’s available for the right price. Not a single month goes by without Rondo rumors. He also signed an extension with them right before he turned into a star, giving Boston one of the best superstar contracts in the league over the past few years. Now this season, they gutted the roster with plans to bottom out for a lottery pick, and he goes from playing with Hall of Famers to spending five months with Kelly Olynyk and Gerald Wallace for a meaningless season smack in the middle of his prime. So Rondo decided to enjoy his off day and have a fun birthday party in Los Angeles instead of a depressing birthday party in Sacramento. He didn’t ask Brad Stevens’s permission; he just let the coach know what he’s doing. Does anyone really think he owes the team more than that?